A two car garage can be the perfect place to store multiple vehicles, some extra space for gardening tools, a workshop, a man cave, or whatever you need. Whether your 2-car garage comes with loft storage, or a full second floor, you'll have plenty of room to get the most out of it. 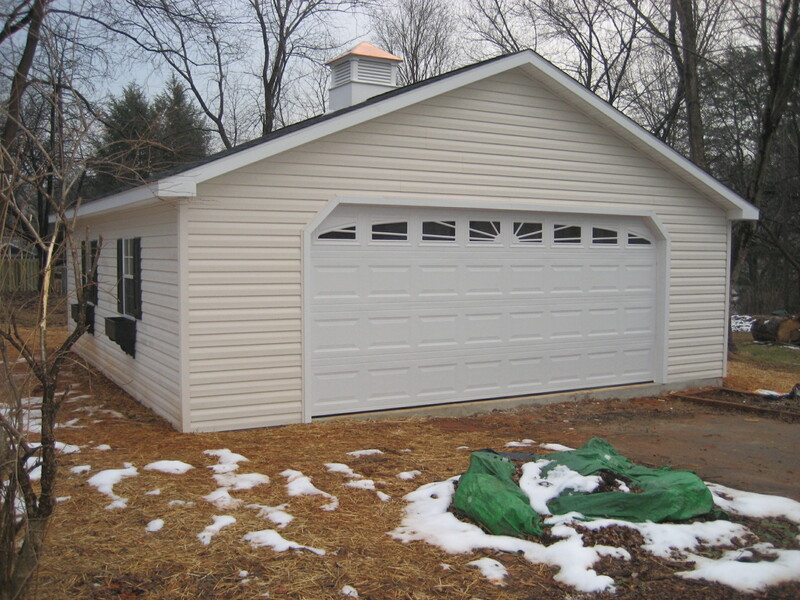 These are just a few examples of two car garages we've built. With a variety of options to choose from, no two garages ever look the same! We've built garages to match homes, or completely unique standalone structures that the customer envisions. No matter what you're looking for, Homestead Structures can help you have the building of your dreams. You know that you need storage space and you know that you need space to park the car, or maybe what you really need is a workshop or man cave. Imagine a pre fab garage that can be all that, or more. Big enough for your car and your tools? You bet. Homestead garages available with a myriad of custom options that can transform a simple prefab garage into a personalized workshop. 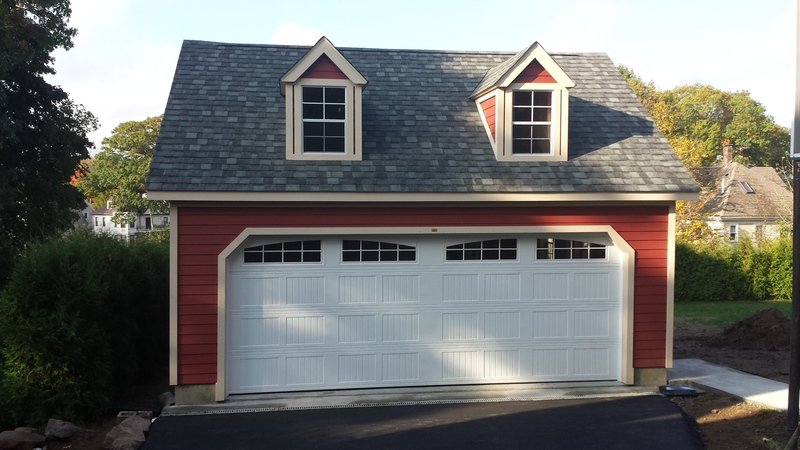 Custom options that can set your garage apart include everything from custom garage doors, to arched windows. We can add an electrical package, lighting options, or loft area. Available with different siding options, we can match your house for a seamless look or maybe you want you want the look of pine Board and Batten. 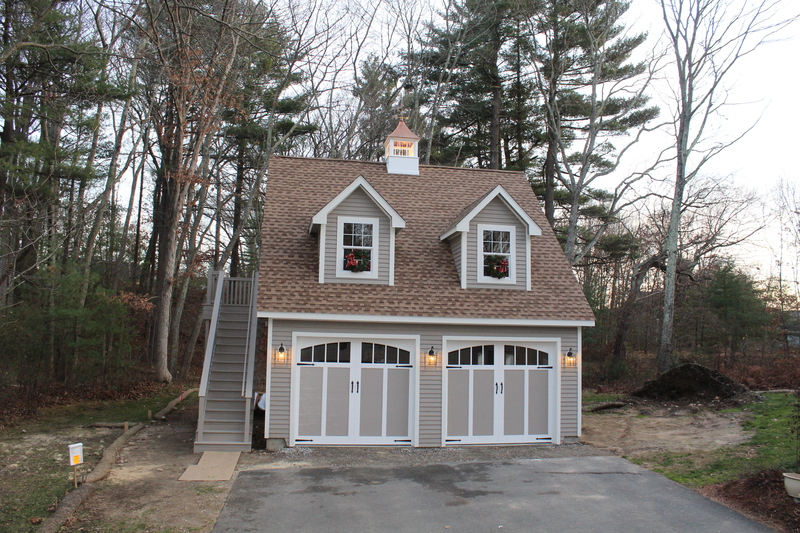 To maximize your storage space check out our two story garage options. 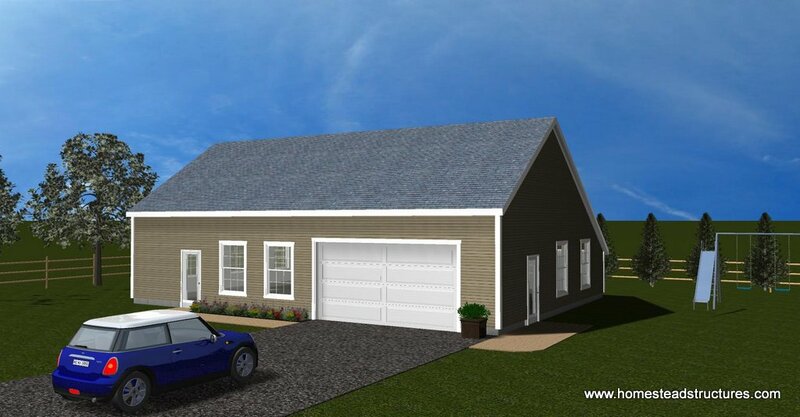 Available with custom garage designs for your unique needs, a two story garage gives you more storage space, or insulate and finish the interior for a rec room, kids playroom, or man cave. The possibilities are endless. 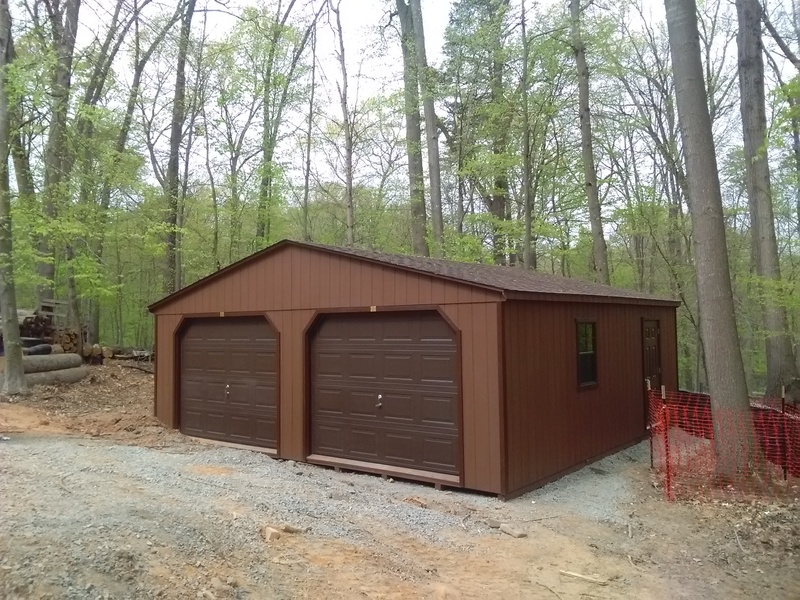 Built by Amish craftsmen in Lancaster County PA, your pre built garage can be delivered fully assembled, giving you a quality product with minimal mess and hassle. Or chose a prefab garage kit that can be assembled on site in a few hours by our Homestead crew, giving you all the custom options on your prefabricated garage that you want.